Researchers at the universities of Linköping and Shenzhen have shown how an inorganic perovskite can be made into a cheap and efficient photodetector that transfers both text and music. "It's a promising material for future rapid optical communication", says Feng Gao, researcher at Linköping University. "Perovskites of inorganic materials have a huge potential to influence the development of optical communication. These materials have rapid response times, are simple to manufacture, and are extremely stable." So says Feng Gao, senior lecturer at LiU who, together with colleagues who include Chunxiong Bao, postdoc at LiU, and scientists at Shenzhen University, has published the results in the prestigious journal Advanced Materials. All optical communication requires rapid and reliable photodetectors – materials that capture a light signal and convert it into an electrical signal. Current optical communication systems use photodetectors made from materials such as silicon and indium gallium arsenide. But these are expensive, partly because they are complicated to manufacture. Moreover, these materials cannot to be used in some new devices, such as mechanically flexible, light-weight or large-area devices. Researcher have been seeking cheap replacement, or at least supplementary, materials for many years, and have looked at, for example, organic semi-conductors. However, the charge transport of these has proved to be too slow. A photodetector must be rapid. 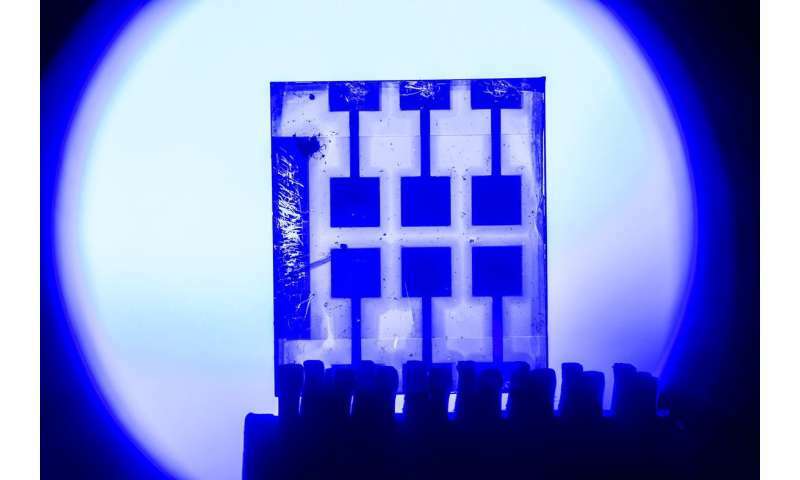 The new perovskite materials have been extremely interesting in research since 2009, but the focus has been on their use in solar cells and efficient light-emitting diodes. Feng Gao, researcher in Biomolecular and Organic Electronics at LiU, was awarded a Starting Grant of EUR 1.5 million from the European Research Council (ERC) in the autumn of 2016, intended for research into using perovskites in light-emitting diodes. Perovskites form a completely new family of semi-conducting materials that are defined by their crystal structures. They can consist of both organic and inorganic substances. They have good light-emitting properties and are easy to manufacture. 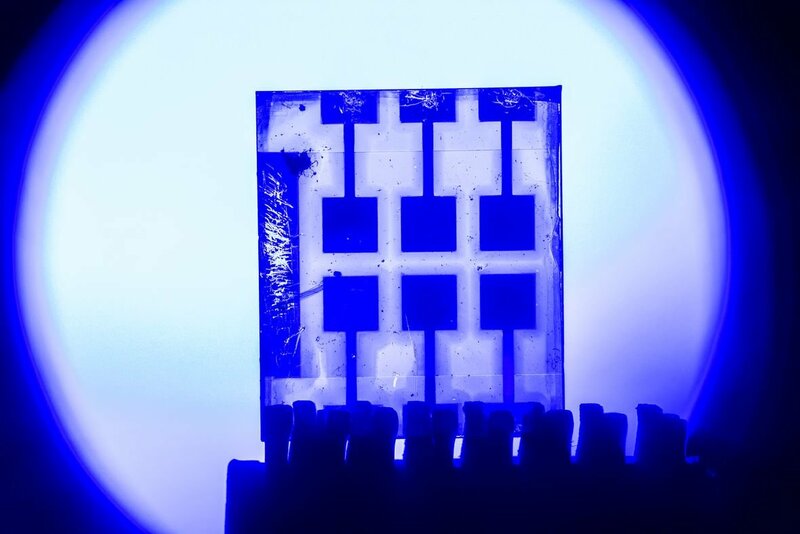 For applications such as light-emitting diodes and efficient solar cells, most interest has been placed on perovskites that consist of an organic substance (containing carbon and hydrogen), metal, and halogen (fluorine, chlorine, bromine or iodine) ions. However, when this composition was used in photodetectors, it proved to be too unstable. The results changed, however, when Chunxiong Bao used the right materials, and managed to optimise the manufacturing process and the structure of the film. The film in the new perovskite, which contains only inorganic elements (caesium, lead, iodine and bromine), has been tested in a system for optical communication, which confirmed its ability to transfer both text and images, rapidly and reliably. The quality didn't deteriorate, even after 2,000 hours at room temperature. "It's very gratifying that we have already achieved results that are very close to application," says Feng Gao, who leads the research, together with Professor Wenjing Zhang at Shenzhen University.